SBM vibrating screen is capable of a wide variety of applications from heavy duty scalping behind crushing activity. 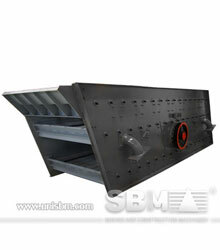 Vibrating Screen manufactured by SBM Machinery is used for separating the stuff. Vibrating Screen is compiled of mainframe, eccentric bock, screen web, rub spring, electric motor, coupler and some more. We will offer you suitable type according to your requirements. Straight line vibration screen is of superb quality in double deck, triple deck, 4 deck. 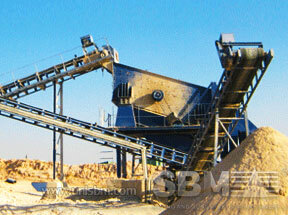 SBM Machinery will offer the vibratory sieve screen to clients all over the world with more than 20 years’ experience. The vibrating shaking screen’s application includes concrete, rock, crushed stone, quarry waste, ore mineral mining, construction, demolition debris, aggregate, dewatering industrial, sand and gravel etc. Mt Owen is located in the Upper Hunter Valley of New South Wales. Thiess Contractors operates Mount Owen as a shovel-and-truck open pit, relying on hydraulic excavators for both overburden stripping and coal production. A number of technical innovations have been incorporated into the design of the mine. The benefit of this is to minimise the creation of fine coal during crushing, while removing the need for a separate screening operation. Vibrating screen from SBM Machinery is widely used for sieving and separating the crushed coal in the coal preparation plant. "Vibrating screen is the most popular screening and separating tools in the coal preparation plant." The Sukari gold project is located in the eastern desert of Egypt. The mine is Egypt's first large-scale gold mine. The deposit is mined using conventional open-pit methods. The gold ore is processed following the typical crushing, grinding and flotation. Vibrating screen is one of the most important equipments in the gold ore crushing plants. The heavy duty industrial vibrating screen has set the standard on most primary screening and scalping applications such as gold ore crushing. "The high quality vibrating screen from SBM Machinery maybe the most valuable screening machine all around the world."